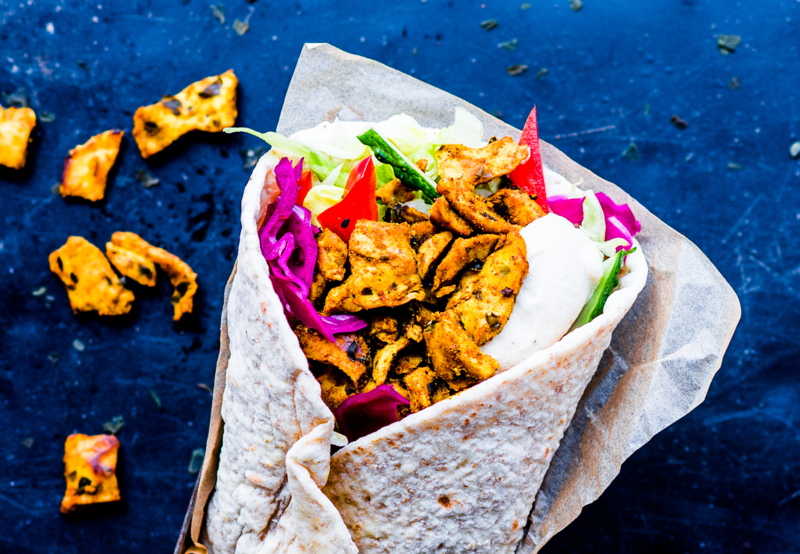 This tasty grilled seitan is flavoured with Dutch seaweed and colourful Arabic spices, carefully wrapped in traditional flatbread. You say shawarma, we say seawharma! The flavour agent in this work of art is grilled seitan, which has a nice bite and is flavoured with Dutch seaweed and Arabic spices. Wrapped in traditional flatbread, stuffed with lettuce, red bell pepper, cucumber, red cabbage pickle, garlic Weed Sauce and a creamy Tahini Sauce, its flavour is unrivalled. Big appetite? Enjoy your Seawharma at The Dutch Weed Burger Joint! The Seawharma is entirely palm oil free, vegetarian, vegan, kosher and halal. Virtually everyone can enjoy it! We’re continuously working on optimizing our entire production cycle to make our products as sustainable as possible. EAT WEED LIVE LONG!